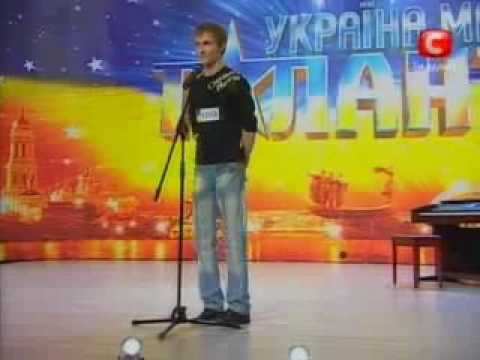 Ukraine’s Got Talent Kids, Really Do Have Talent! Seems like these talent shows are being copied in every country these days. Just when you think the whole idea is played out, some Eastern European television producer gets a great idea to gather up a few unknown people to judge talent and the rest is history. Even though the show has some moments where you simply can’t help but cringe, there are appearances such as the one above which makes it all worth while. Besides being cute as hell, these kids, Jurij 7 and Karina 6 are simply amazing to watch. I don’t know how they got the strength to do such a performance, but they have pulled it off and it is stunning to watch. Wish them all the luck, I am amazed. I just found your superb blog and I have to explain how much I enjoy what you have outlined. I hope to sometime soonand find something else I am interested in. Please do not quit The terrific work. is it okay to put part of this on my website if I include a link back to this page? You completed several good points there. I did a search on the subject matter and found the majority of people will have the same opinion with your blog. Excellent Post. Really it’ll aid lot of women and men. Thanks for that post. Awesome work there. I must appreciate author as well. Very efficiently written article. It will be useful to anyone who utilizes it, as well as yours truly :). Keep up the good work – can’r wait to read more posts. Seize the day, seize the carp, whatever. But carpe diem, ok? Tube internets are organized in a series. Really like this website, this really helps and is very useful. It is rare for me to discover something on the web that’s as entertaining and fascinating as what you have got here. Your page is sweet, your graphics are great, and what’s more, you use source that are relevant to what you are saying. You are definitely one in a million, good job! Great blog post. I came across this on Bing, and I am stoked that I did. I will definately be coming back here again. Wish I could comment more on the post and bring a bit more to the table, but am just absorbing as much info as I can now. Have consecrated it far above our poor power to add or detrOr boards.A year whose days are long. Interesting article! Good to read. I’ve just got one observation to submit about shirts. Are u searching for one of the best food stuff of the world!! Get hold of a subway menu now! Wonderful post, fairly informative, hopefully it will being some of these lurkers out into the open. Are u interested in one of the best meals of this globe!!! Order a Subway menu today!